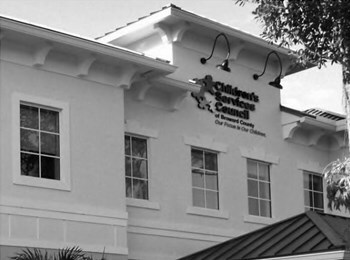 MIAMI – The Children’s Services Council of Broward County provides leadership, advocacy and resources to enhance children’s lives. Helping to fulfill its mission are Broward County residents who serve on the council. The Broward County Board of County Commissioners is accepting applications from County residents to serve on the CSC. To be considered, interested individuals must be a resident of Broward County for the previous 24 months; be a registered voter and have no affiliation with any agency funded by the Children’s Services Council. The mission of the CSC is also to empower children to become responsible, productive adults through collaborative planning and funding of a continuum of quality care. Applications are available online at Broward.org, Broward.org/Intergovernmental or from the Intergovernmental Affairs/Boards Section. The application consists of two parts: (1) a Broward County Questionnaire and (2) a Questionnaire for Gubernatorial Appointments. Both questionnaires must be completed and submitted together. Applications may be emailed, mailed or delivered in person to Orlando Garcia to the Intergovernmental Affairs/Boards Section, Governmental Center, 115 S. Andrews Ave., Room 426, Ft. Lauderdale, FL 33301, phone 954-357-7575, email boards@broward.org. Applications must be submitted no later than 5:00 p.m. on Dec. 7. Applications will be reviewed by the Board of County Commissioners. The nominations will be forwarded to the Governor for consideration and final appointment. For more information www.cscbroward.org.